Sponsored by www.youth–basketball-camps.com A website evaluating basketball camps around USA. The fire at the under construction diesel-electric icebreaker “Viktor Chernomyrdin” was completely eliminated at 22:15. It is reported by the press service of the Ministry of Emergency Situations of the Russian Federation for St. Petersburg. The fire occurred at about 19 o’clock in the Admiralty shipyards at Fontanka Embankment, 203. Two people were injured in the fire: one refused to be hospitalized after being examined by doctors, the second was sent to the hospital with burns of his hands. “Technical premises with a total area of ​​300 square meters were burning. The fire was assigned the third number of difficulty. To supply water, firefighters had to stretch multimeter hose lines, a foam attack was carried out. 139 people and 24 pieces of equipment were involved in extinguishing the fire, ”the ministry said. A mobile chemical radiometric laboratory operated in the fire area. Excess of norms of maximum permissible concentration of harmful substances was not detected. 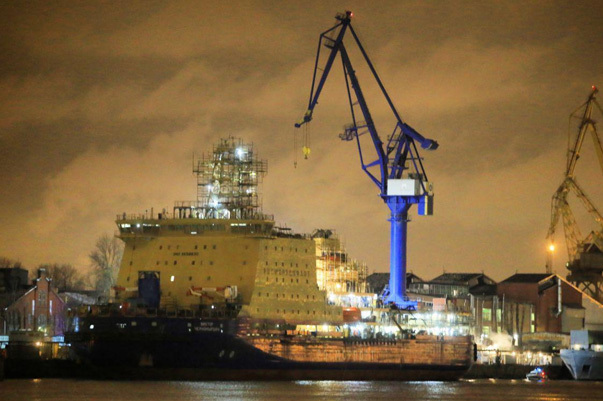 The construction of the icebreaker began in October 2012. It was planned to finish it by the end of the year, after which in the spring of 2019 he had to go on ice trials.